a statement from the director of the cemetery confirming that the deceased was buried there. statements from the registrars at several other nearby registry offices, confirming that they do NOT have the death record of your grandmother in their ledgers. We can gladly provide a quotation for our services to lodge a death-ratification request, see our contact details below. 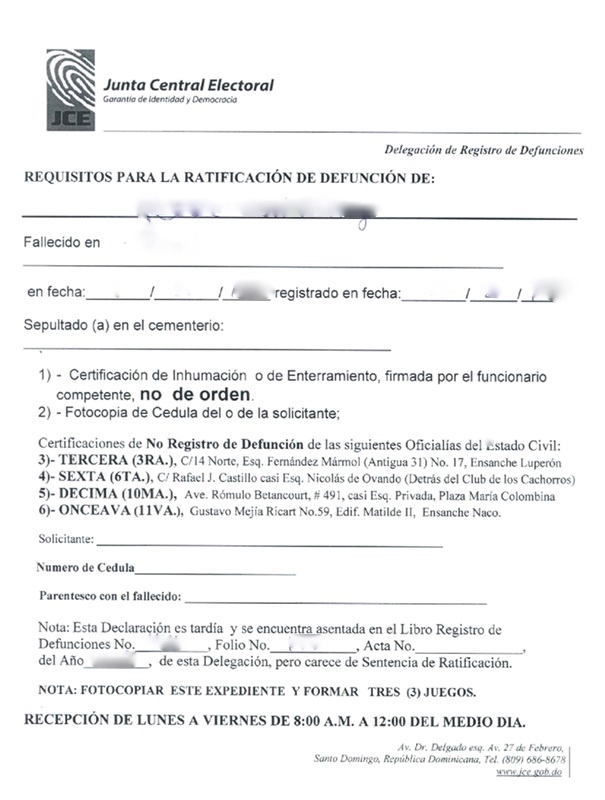 For ratification of a Dominican death record, the registry office will issue this form which lists the documents required for the ratification process.